If you are looking for the perfect inlay material for everyday practice, look no further than VITA ENAMIC ST. The super translucent CAD/CAM block for efficient chair-side treatment is based on the clinically proven hybrid ceramic blueprint, which has been in use since 2013. Under pressure and heat, a porous pre-sintered fine structure feldspar ceramic block (86% by weight) is infiltrated with a polymer (14% by weight). 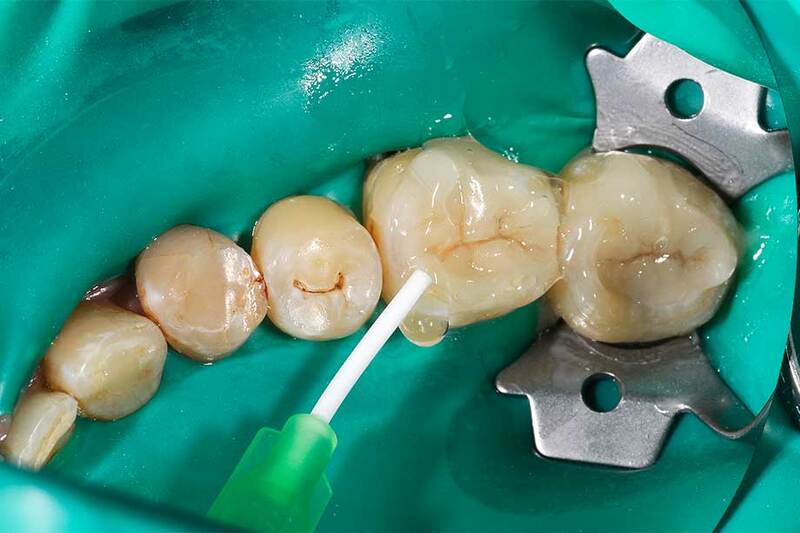 The dual network also offers clear advantages with regard to inlay treatment: the minimum layer thickness in the isthmus range is only one millimeter, which allows for a minimally invasive and defect-oriented preparation. The precise edges and the excellent edge stability ensure a perfect fit. Firing is not required. After grinding, the restoration is finished and polished, and it is then ready for integration. 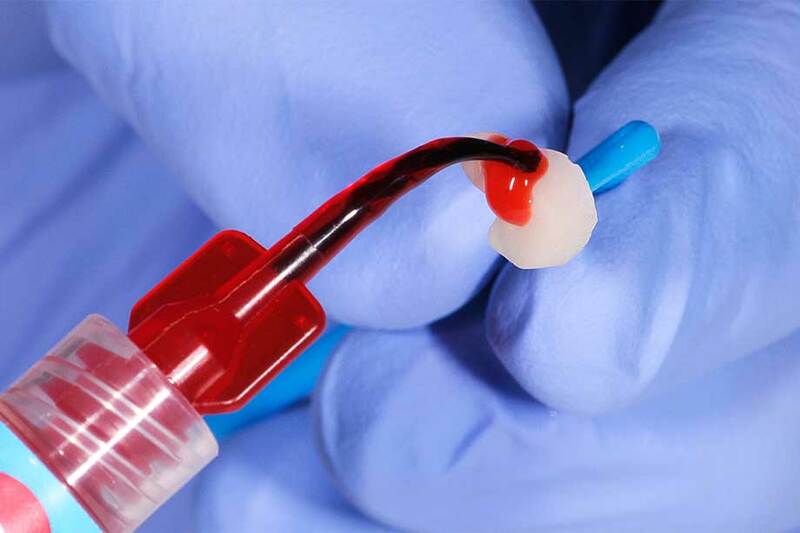 If desired, the light-curing stains from the VITA ENAMIC STAINS kit can also be used for individualization and glazing. 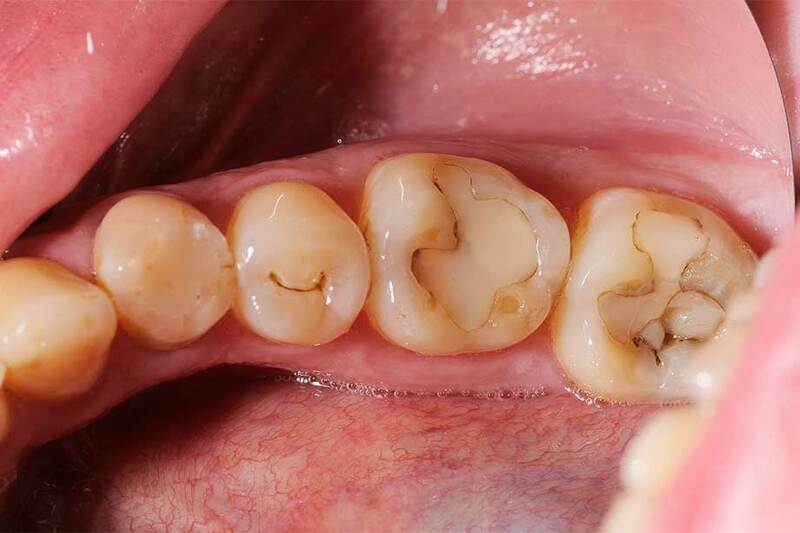 Due to the dominant ceramic network, the material can be etched and silanized in the usual way with hydrofluoric acid. This not only leads to the best adhesion values when fully adhesive bonding is used, but also saves the need to purchase a sand blasting unit, as is the required for CAD/CAM composite blocks. 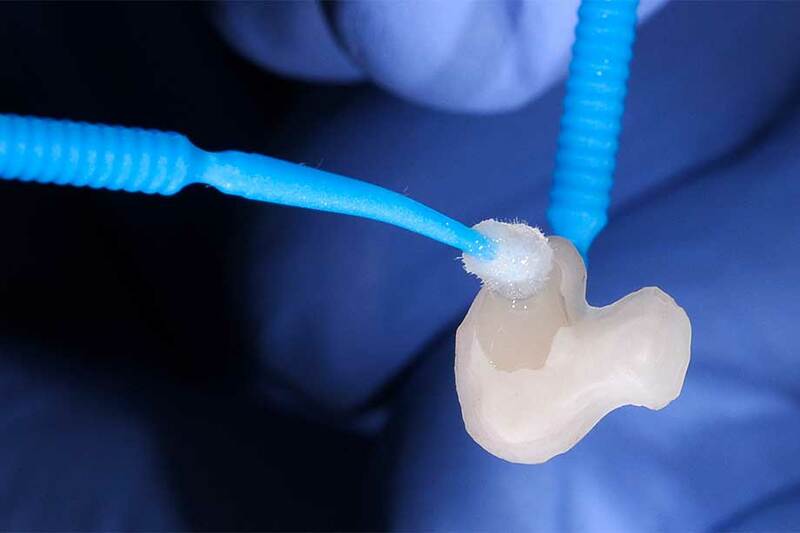 A dual network as with VITA ENAMIC does not exist with highly filled composites: they are made with glass or ceramic fillers embedded in a polymer matrix in the familiar manner. 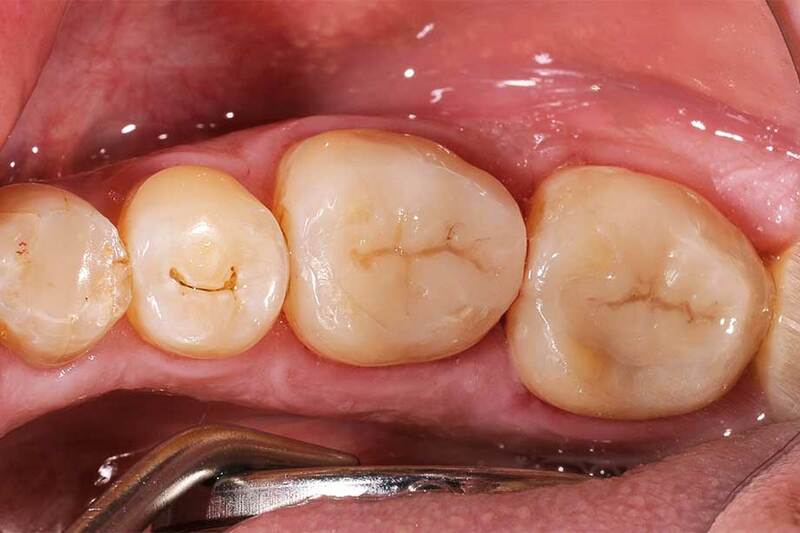 To apply the term hybrid ceramic to these materials is therefore misleading. 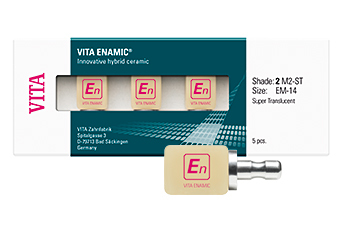 VITA ENAMIC ST is primarily suitable for all restorations limited by enamel: inlays, onlays and table tops. In this case history documentation, Prof. Dr. Alexander Hassel (Mannheim, Germany) shows how easy and efficient a VITA ENAMIC ST restoration is to perform and how the highly translucent restoration with the chameleon effect merges optically and functionally with the residual substance of the tooth. Fig. 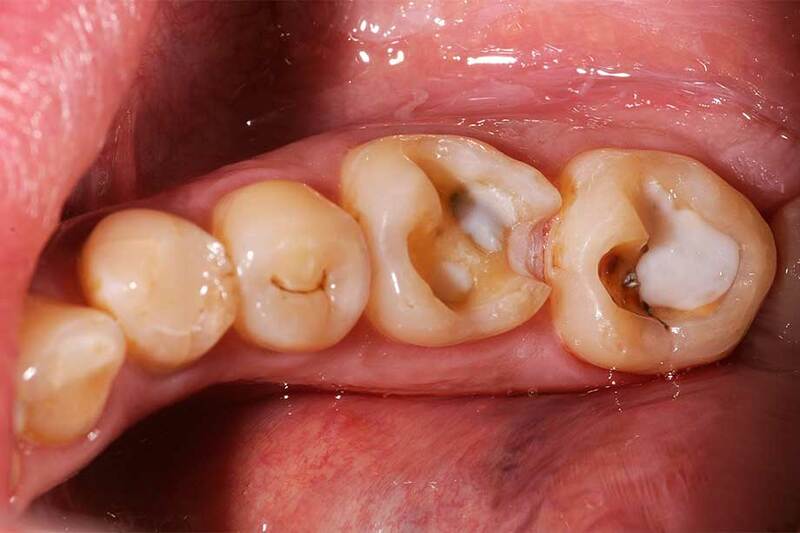 1: Initial situation with insufficient composite fillings on 36 and 37. Fig. 2: Defect-oriented preparations after excavation of cavities and adhesive filling. Fig. 3: Due to the dominant feldspar ceramic network, VITA ENAMIC ST can be etched with hydrofluoric acid. Fig. 4: The milky, etched surface can be silanized for an optimal chemical bond afterwards. Fig. 5: An air block prevents the formation of an oxygen inhibition layer during light curing. Fig. 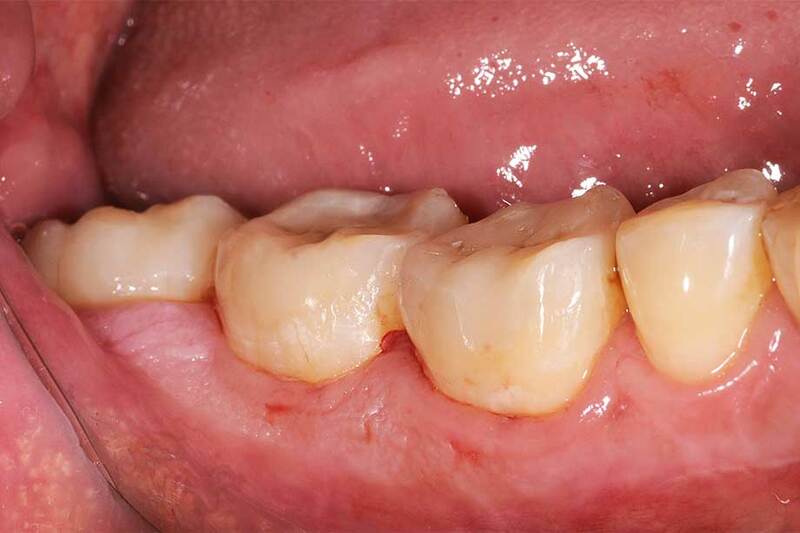 6: The fully adhesive restorations merge functionally and aesthetically with the residual tooth substance. Fig. 7: The chameleon effect of super-translucent hybrid ceramics also ensures restorations are invisible from the vestibular view. with integrated shade gradient from cervical to incisal area. Find the nearest VITA dealer.